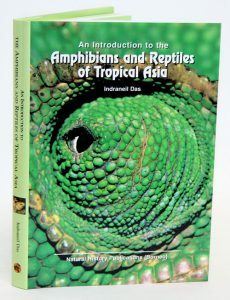 Introduction to the Amphibians and Reptiles of Tropical Asia. Tropical Asia, including countries of southern and south-eastern Asia, hosts an immensely rich biodiversity. The present work is an introduction to the herpetological diversity of this fascinating region, and includes accounts of the history of explorations, historical biogeography, methodologies for field research, evaluates conservation problems and lists legal instruments and identification resources that make the fauna accessible to people. Separate tables and appendices presents numbers of species recorded from each country in the region, new species described in recent years, lists of species protected regionally and internationally and the volume of amphibians and reptiles in trade. The second part of the work presents an album of photographs of selected species of amphibians and reptiles from tropical Asia. This book is intended for use as a primer on the herpetology in southern and south-eastern Asia by scientists, conservationists, resource managers and the lay public. 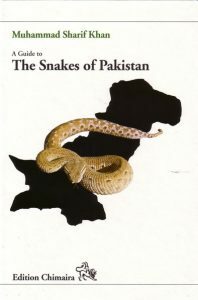 A guide to the snakes of Pakistan. Includes scientific data, keys for determining various species, drawings, distributions maps, and colour photographs of numerous snake species. This books also outlines the cultural importance of snakes on the Indo-Pakistani subcontinent. An extensive chapter on snakebites provides the reader with information on the dangers of snake poison, as well as criteria for identifying poisonous snakes.